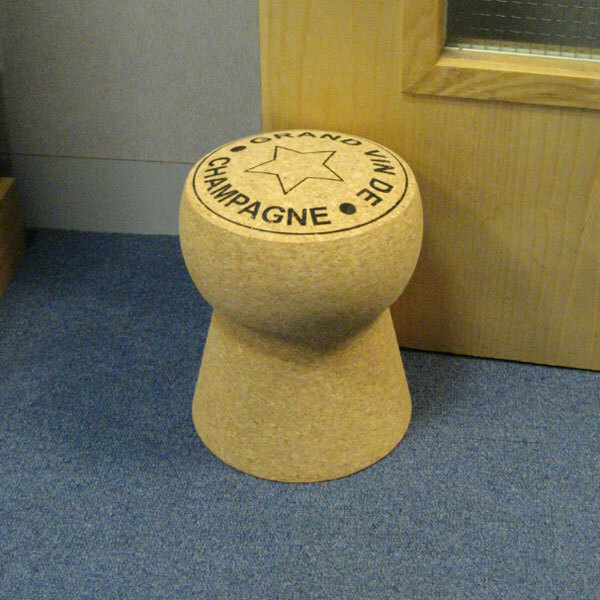 The XL Champagne Cork Door Stop – Grand Vin De Champagne is the next and very much anticipated edition to the range of over-sized Champagne Corks. It is an innovative door stop for any home, restaurant or bar and is made from solid natural cork from Portugal. The stool is multifunctional and can also be used as a foot rest, book end or children’s stool if desired. This is a must have item in any room, a door stop like no other. Not only will it stop doors from closing, it will stop people in their tracks. Unfortunately, a bottle of Champagne is not included! The 'Grand Vin de Celebration' print on the door stop is especially suited for weddings, anniversaries or as a birthday gift. Really original and fun gift for my brother's 50th....I haven't seen it doing it's job but I'm sure it will look great on his wooden floor.